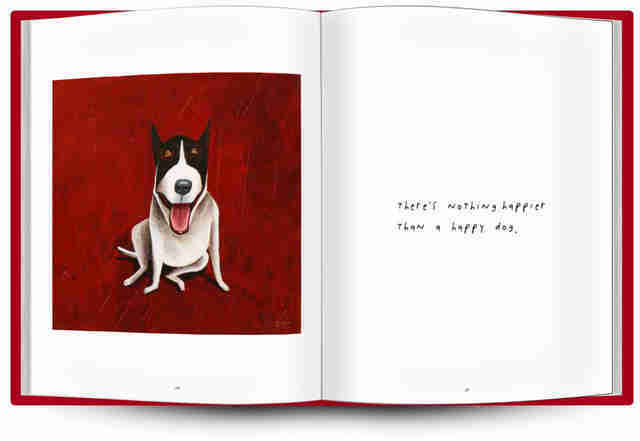 "There is nothing happier than a happy dog" is one of the maxims my family has heard me say for years. 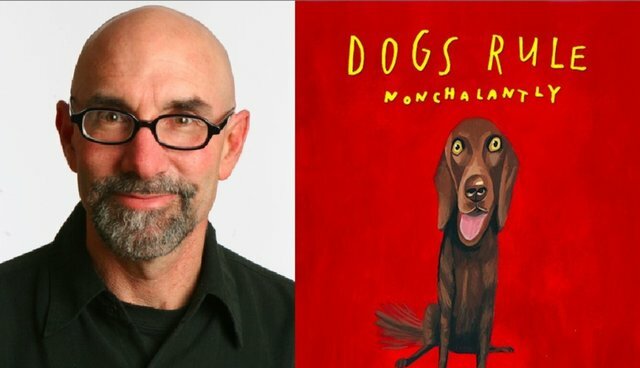 I grew up with dogs and as an artist and illustrator I've been drawing and painting them for two decades now, for publications such as Newsweek, The Atlantic Monthly and The New Yorker, where I've been a regular contributor and cover artist (46 to date) since 1993. Over the past two years, I collected my favorite dog paintings and paired them up with my thoughts about dogs in general and my own dogs in particular. 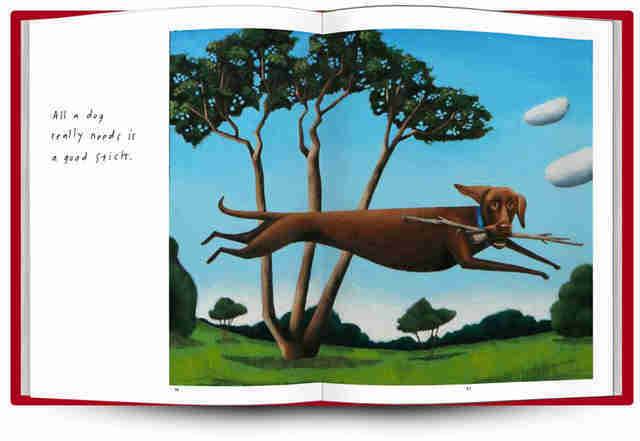 The final tally is 65 paintings, five of which I created specifically for my new book, Dogs Rule, Nonchalantly. 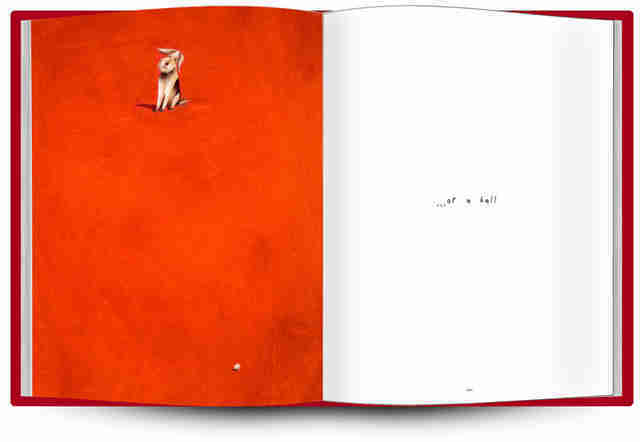 Since this is my first writing effort I wanted to craft a story with passages about the many joys (and some of the frustrations) of living with man's best friend. 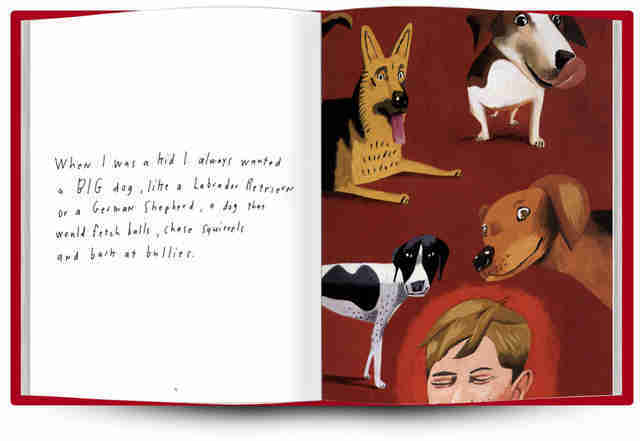 The book starts with my own longing for a dog as a kid and the subsequent dogs we've raised throughout my lifetime. 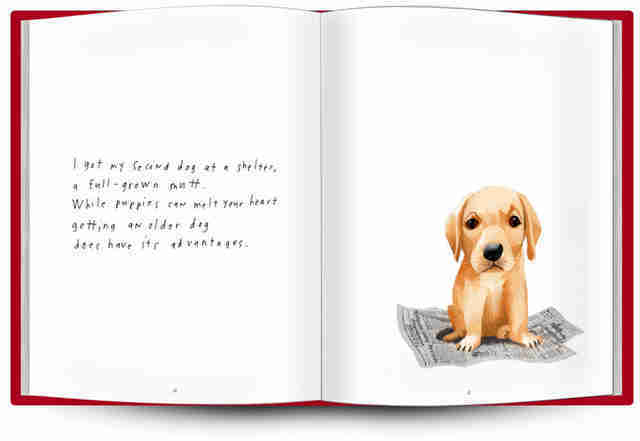 In short, hand-written (we made a font of my handwriting) prose I chat about puppy training classes, the social benefits of having a dog and the sad reality of how short their lives are. My goal was to write a book that had a beginning, middle and end, one that could be read aloud sans pictures and still be a good read. 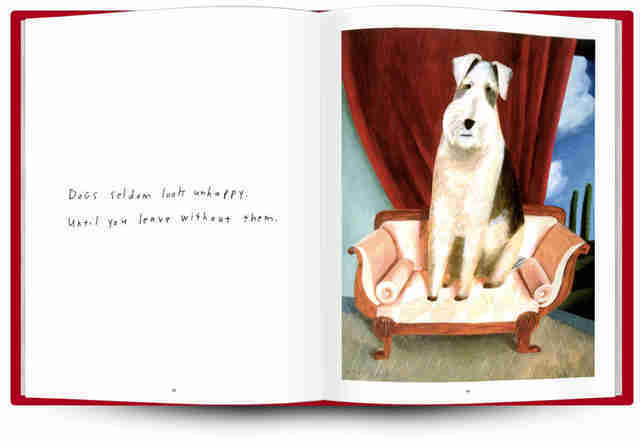 Once combined with my paintings my hope was that the combination would prove attractive if not downright irresistible to dog lovers as well as book and art lovers. 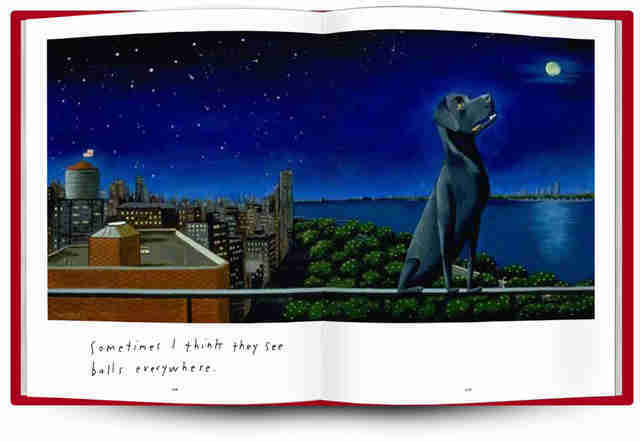 As astrophysicist Neil deGrasse Tyson wrote for one of my back cover blurbs, "I've never met Mark Ulriksen, but after reading Dogs Rule, in which he displays uncanny sensitivity to a dog's mind through his illustrations and text, I'm left wondering if he is, in fact, a dog." Could be!